This post is going to come in two parts because I've quite a lot of photos to show. A whole crowd, at least it felt like that, popped over to the building after church yesterday. The sun was shining and there is the first, tentative, hint that Spring may be upon us. Well, at least the snow's gone. First up, this is how the main hall is looking at the moment. 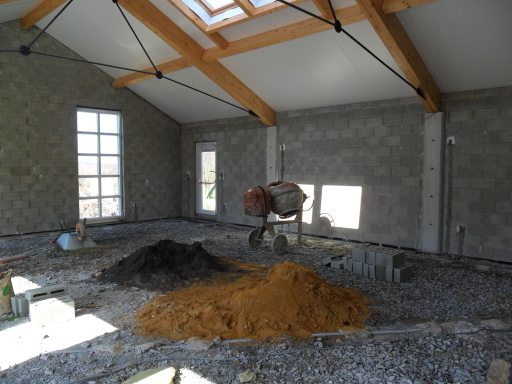 The builder who built the walls has been in filling up the gap between the top of the walls and the roof. Somehow makes everything look, and seem, more complete. This photo was taken at about 12:30 and the hall is really bright. This is a good thing. 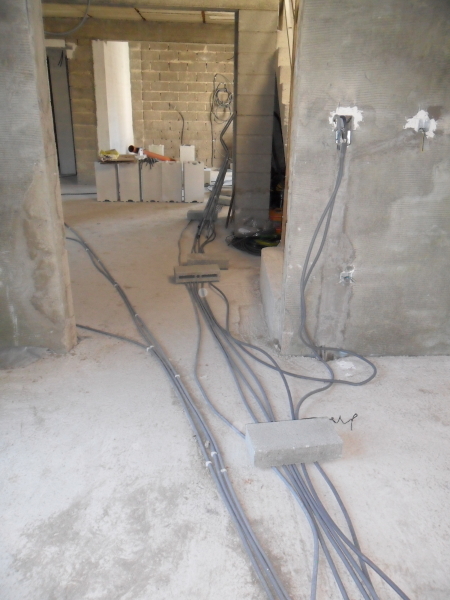 Alain, François, Olivier, Michel and Christian have been busy getting the wiring finished. There are tubes snaking all over the place. Eventually they'll be covered in concrete but it's interesting, for me at least, to see just how much cable (and trunking) is used. Moving upstairs, Alain has finished the room that will eventually contain the heating unit. He's done a good job. 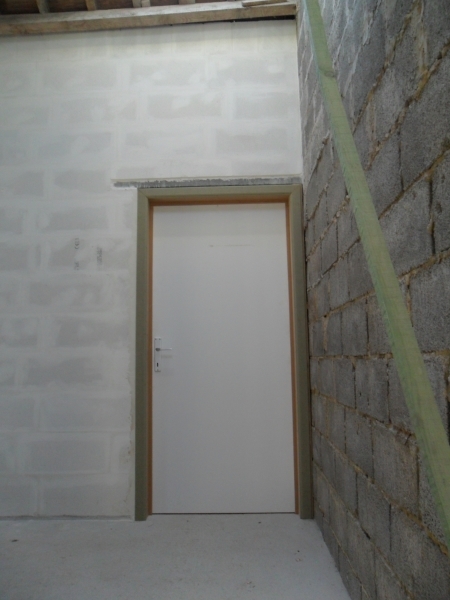 A while back I visited the site when he was working on the door shown in the photo. He had cut all the relevant holes himself, by hand. I was impressed, Alain knows that DIY is not my strong point... OK, quit laughing in the back... and he is very humble about his own skills. I think the best word to describe his work would be "meticulous". He does everything with real care. There is also a bath upstairs. 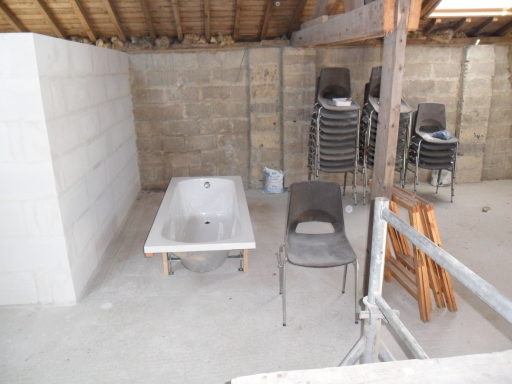 We're not planning to build a bathroom, we used this bath for the last baptisms that we did at church. Normally we use a large paddling pool with brightly coloured fish around the outside. The problem was that when it was taken out to be cleaned it was discovered that there was a large hole in the bottom. Not very helpful. Olivier spent a good part of the day before the baptisms trying to find a replacement. This was the last bath available in the area!